The event was held in conjunction with the annual Mint Hill Madness and MGs on the Green. 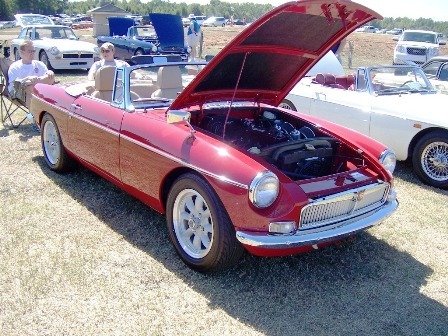 The Metrolina MG Club was formed as a result of several years of MGs on the Green. 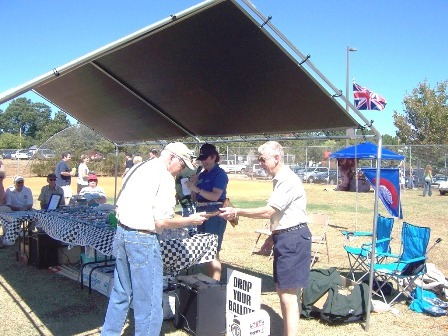 The original founders, Hank Rippert and Tom Cotter promoted MGs on the Green and now the MG Metrolina MG Club manages the event. There were rows and rows of MGs from early Bs through Limited Editions. President Frank Ochal, Secretary Margie Springer and myself handled the AMGBA awards presentation.It was great to meet many of our long time members in the Southeastern part of the U.S.